YEAR OF ‘PEACE & SAFETY’! [I checked and found:] ‘The United Nations has declared 21st September to be observed annually and globally as the International Day of Peace (‘Peace Day’)’. Today’s and the next 365 days theme is entitled, ‘Together for Peace, Respect, Safety and Dignity For All’. “…Rather than rely on Me and my faithfulness to you, you chose, for worldly purposes, to join yourself to an institution which has denied my Name and refused to acknowledge Me in its councils. My fierce anger is upon that institution on account of its rebellion, its defiant rejection of me and its hardness of heart towards my ancient people Israel. Therefore, having learned 15 or so years ago about the ‘666’ foundation under Javier Solana of the EU’s office of High Representative – and combined with the weekend’s in-depth teaching on prophet Daniel’s End-time visions from Dr Arnold Fruchtenbaum – I recalled the current official’s anti-Israel and pro-Iran stance. ‘At the start of his cabinet meeting on Wednesday, President Donald Trump discussed his announcement Tuesday afternoon that he is removing the US from his predecessor Barack Obama’s nuclear deal with Iran and reinstating the nuclear sanctions that were suspended with the deal’s implementation in January 2016. ‘European and other international leaders responded angrily to Trump’s move. The EU’s foreign policy commissioner Federica Mogherini was downright indignant. If you like our British journalist Melanie Phillips and want to go deeper, then you’ll like Caroline Glick and may wish to read her Trump’s Iran Deal Was a Masterstroke, as well as Watching Netanyahu in Tehran. After my Monday-Tuesday musings, Mogherini turns up at the start and ending of the video on Tony Pucci’s End Times post. Therefore, the Lord’s clearly alerting us by His ‘sign language’ to what’s going on in the world and how He’s aligning it to His prophetic scripture, and to words He’s giving today’s prophets. Please note carefully that in absolutely no way am I attributing any similarity between living persons and biblical characters, but merely noting the nature and publication of official EU activities. ‘Global governance is and always has been the main game of the Davos crowd and its organizing body, WORLD ECONOMIC FORUM. Donald Trump has been perceived as doing much in his power to shut down global governance – climate control measures and all. The Davos crowd of politicians, high financiers, “scholars” and industrialists viewed Trump with neither affection nor favor. ‘One short week after Trump’s return from Davos, Switzerland and only two days after his State of the Union address, the New York Stock Market would drop by an astounding 666 points! That was a number obviously chilling to millions, including but not limited to Donald Trump’s Evangelical base of support in the USA. This happened only two days after Trump’s triumphant State of the Union speech to the United States Congress. A pivotal point of his speech was the dramatic improvement in the USA economy after his November 8, 2016 election. The 666 droppage would double immediately after the weekend on the following Monday by upwards of another 1200 points in one day. You may like follow my practice of having Koenig’s World Watch as a browser tab for ease of reference. On November 1st an article titled “Battle of Beersheba charge recreated for centenary” was published on the BBC News website’s Australia and Middle East pages. “The Battle of Beersheba led to the Balfour Declaration – the first time the British government endorsed the establishment of “a national home for the Jewish people” in Palestine. Being away from 10 o’clock on duties at Acorn after having published the previous post on Boris, BBC and Balfour Declaration I was unaware of a most informative comment submitted by Dave Chapman about half-an-hour later. It’s presented a fascinating but annoying bit of bother: something or someone somewhere read it and decided to block its appearance! That is, you cannot yet read his remarks at the foot of that post because WordPress is malfunctioning? Could that be just sheer coincidence? Let’s not get paranoid, but it reminds me of when my blogging about Iran’s rehearsals to attack Israel was affected (as here). ‘Also, please note Comments below from Dave Chapman, to which I’m about to reply in some detail…WHOA THERE! – MOST PECULIAR: although I saw them in an email alert to my phone timed at 10:35 (read approx 14:30 half-mile away and am now back home on PC), his message does not appear either at the foot of this post as usual, or in my admin screen’s listing of comments – yet it is flagged atop home page’s Recent Comments sidebar (as shown below)! I also have very much appreciated Boris’s interventions recently. He has been a voice of hope over Brexit and Britains future outside of it. A ‘breath of fresh air’ for when we are outside of it. He may well take over from Mrs May after March 2019. It will be very difficult for the EU to agree anything re Trade with us PRIOR to that date for the future, since their Single Market membership requirements would have to be altered in advance for us as we leave, which the current Member countries would also pounce on since the free movement of peoples is already an issue with Hungary, Austria, and others no doubt too. So, they will very likely string the talks out till we have stepped out and then they may well stitch something together immediately to ensure traffic of goods etc from Germany and France for instance continues unhindered. We simply have to be brave. They will need, that as well as us. On his Israel and Two State Solution for it, personally I think it is a very dangerous route. We had a bad storm earlier this month in UK, and America had ‘two major States’ very badly hit. If we note the timing of those there, the first one, Harvey, had decreased in power over the Atlantic but the day after Kushner arrived for talks in Israel and mid East “based on a Two State Solution” Harvey ramped up in power and became the most devastating storm in Texas ever. There were large evacuations too. Then, Irma followed on and ripped through both British and French Islands in the Caribbean (Bransons home almost destroyed included, and an anti-Brexiteer, with Trumps home also damaged) before hugely damaging parts of Florida where again wholesale evacuations and damage were seen. “Two States” feeling the affects of a Two State Solution? The Land issue over Israel is huge I believe. Indeed Joel 3 tells of what happens when we ‘divide the Land’, and Zechariah 12 pinpoints the Jerusalem issue. With the Palestinian people being a front for all those who would have Israel destroyed, let alone not even recognised, and Hamas determined to destroy them, we dare not align ourselves with such people. Our best efforts need to be standing behind Israel’s right to defend themselves from all comers, otherwise we should stay out of this matter. I am sure you are familiar with all these ‘arguments’ and whilst I am encouraged with what Boris says of his previous attentions to Israel, and a time living in a kibbutz, ultimately one of the pillars of our restoration will be how we stand with Israel or not, which we have not done properly since the very Balfour Declaration itself, 100 years ago this week. ‘Thanks for taking time to go into details as I’d hoped on Monday to have been able to update readers on Trump by using material in Saturday’s ‘Koenig’s Eye View at White House’. In the light of his research since early 1990’s, I’m well aware of the correlation between talks to divide the land that biblically is to be Israel’s and the severe weather in USA. It’s so empirically observable that it’s almost scientifically demonstrable fact! Trump’s Middle East peace plan is revealing. Has “Eye to Eye” made a difference? ‘The Times of Israel said Sunday that the Trump administration would shortly unveil a formal proposal for Middle East peace that aims to enable a “comprehensive regional arrangement,” but that it will not be imposed on the sides, and that it will not feature a rigid timetable. An administration official told The Times of Israel, however, that there were no imminent plans to present a proposal. ‘President Trump has been expected to provide a comprehensive regional plan since his meetings with Arab leaders in Riyadh in May and at the UN in September. If he didn’t come forth with at least some plan, this would not bode well for him and Jared Kushner, after they showed such enthusiasm towards a comprehensive Middle East plan and deal. Moreover, President Trump doesn’t want to stop his tough talk or negate his credibility and/or reputation amongst Sunni Arab leaders which could further complicate his Iran and North Korea actions and decisions. ‘On the Centenary, I will say what I believe: the Balfour Declaration was indispensable to the creation of a great nation. In the seven decades since its birth, Israel has prevailed over what has sometimes been the bitter hostility of neighbours to become a liberal democracy and a dynamic hi-tech economy. In a region where many have endured authoritarianism and misrule, Israel has always stood out as a free society. Like every country, Israel has faults and failings. But it strives to live by the values in which I believe. ‘I served a stint at a kibbutz in my youth, and (though I was mainly washing up) I saw enough to understand the miracle of Israel: the bonds of hard work, self-reliance and an audacious and relentless energy that hold together a remarkable country. 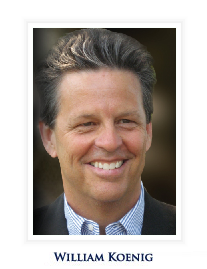 His thoughts are well-worth reading for they display a keen appreciation of the state of affairs and he argues for a two-state solution thoroughly negotiated by Israelis and the Palestinians. BUT I have to say this could have been achieved decades ago but for the hatred, intransigence and duplicity of Palestinian leaders who prefer to forever whinge about victim-hood, instead of blessing and prospering their people’s lives! For example, according to the International Christian Embassy in Jerusalem’s report the PA ‘demands’ a formal apology from Britain for the Balfour Declaration! The well-worn adage that ‘history is written by the victors’ isn’t so much of a yardstick in these days because of the increased global ability to research and investigate in depth through cyber-technology. However, there are many who bury and distort facts to avoid painful truths and spread lies for perverted propaganda purposes – not only politicians and terrorists but also medintellectuals and historians, who should know much better but serve the evil one’s purposes instead. May you, my reader, discover the facts for yourself. Also, please continue to the next post to read highly informative comments and about the ‘glytch’ preventing their receipt and automatic appearance at the foot of this post. The BBC is in GOD’s spotlight! However, this millennium has seen the BBC shift from being an impartial broadcaster to one which actively seeks to push ideologies averse to civilization and family, the building blocks of society and godliness. When those at the helm are challenged through petitions or the newscasters or offered an opinion other than that of the liberals, all objections are treated with impunity and hostility. “Bigot!”, “Homophobic!” and the like are what come. The BBC has become an organisation used by the enemy to promote gender extremism and hostility against any who hold to family values. A national institution in favour of all things Islam at the expense of Christianity. Even GOD-fearing politicians are not spared this barrage when they stand up for truth, decency and common sense morality. Jacob Rees-Mog MP attacked on BBC Question Time. So, what can we do? Are we helpless at this tide of evil? By no means!! We are not without weapons, we are not without power, we are not helpless, WE CAN PRAY, and PRAY we shall! It is time to FIGHT BACK! A. GOD loves all the people in the BBC and desires that they all come to the saving knowledge of JESUS. Tears flowed freely from our faces as we once again encountered The SAVIOUR’s love for all of humanity including the broadcasters who have sought to vilify believers. We wept as we prayed mercy and forgiveness on all the broadcasters who have been caught in the enemy’s trap and castigated believers. B. There is a heavy influence on all (but for the grace of GOD and those covered by His Blood) who work in the BBC by the spirit of the power of the air who has been invited by evil workers to rule there. This controlling diabolical spirit is the enemy. C. One of the past DG’s of the BBC was closely associated with the occult and as a result of this pacts were made with the enemy. Presently there are several serving at the BBC who have entered into similar demonic pacts. 3. Strengthen the hands of those who are called to be watchmen and intercessors to the BBC and see a company of priestly intercessors who will man the gates for this portal to the nation. Hope to see you there, please pass on to your intercessory pals. RB NOTE: readers familiar with my highly critical blogs on the Badly Biased Corporation (eg. 5 years ago) will recall its anti-Israel stance is not only pro-Palestinian in failing in its statutory duty to report current as well as historical events accurately but also its lack of impartially arising from its distinctly prejudiced policy. This is amply demonstrated by BBC Watch’s in-depth investigations overflowing with the corporation’s campaign of irredeemable misinformation, falsehoods and inaccuracies. Thus, the self-righteous BBC deliberately misleads viewers about the state of Israel. The Queen’s Christmas Broadcast to the Commonwealth follows the pattern set by King George V (her grandfather) in the very first broadcast in 1932. Upon introducing this startling innovation he opened it with, “I speak now from my home and from my heart to you all“. Yearly our sister in the Lord refers to her Christian belief as a source of inspiration and comfort. This Christmas Her Majesty made no bones about the majesty of her faith, as in forthright yet gracious remarks about the Good News of God in the birth of Jesus Christ..
“Many people say the first Christmas after losing a loved one is particularly hard. But it’s also a time to remember all that we have to be thankful for. “…(this London tree) has five hundred light-bulbs and is enjoyed not just by Christians but by people of all faiths, and of none. At the very top sits a bright star, to represent the Star of Bethlehem. “The custom of topping a tree also goes back to Prince Albert’s time. For his family’s tree, he chose an angel, helping to remind us that the focus of the Christmas story is on one particular family. “For Joseph and Mary, the circumstances of Jesus’s birth — in a stable – were far from ideal, but worse was to come as the family was forced to flee the country. It’s no surprise that such a human story still captures our imagination and continues to inspire all of us who are Christians, the world over. Read her message in full on the official website The British Monarchy, or watch the above video. ‘The Queen used her Christmas Day broadcast to make one of her most overtly religious addresses to the nation in recent years. Quoting directly from the Gospel of John, she spoke of light which “shines in the darkness” which she described as a “verse of great hope”. ‘Her comments come at the end of a year in which Britain has been stunned by terrorist atrocities, from the mass shootings and bombings in Paris last month to the gun attack at a Tunisia resort during the summer. ‘Britain’s religious leaders are in the mood for telling home truths. In a stark Christmas sermon, the Most Rev Justin Welby, the Archbishop of Canterbury, compared the Jihadist threat to King Herod, to whom Cardinal Vincent Nichols, the leader of the Roman Catholic Church in England and Wales, also alluded. In the Bible, Herod orders the massacre of young children in a delirious attempt to kill Jesus Christ. In today’s Middle East, the Islamic State of Iraq and the Levant (Isil) is no less bloodthirsty. I’ve underscored the essential key to the solution that too many illiterate and misinformed political leaders have totally ignored to people’s peril. 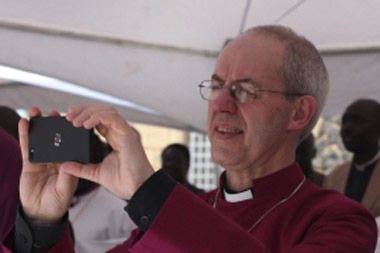 Some who read the previous post soon after its publication may not know the Archbishop of Canterbury has since explained on his official blog what he’d said in a televised interview. 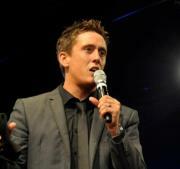 I inserted that original material in my blog whilst prepping the draft because it illustrates what we’re seeing happen, even to believers, as prophesied about global events by Nathan Morris. ‘Consider this with yesterday’s headline ‘Paris attacks made me ‘doubt’ presence of God, admits Archbishop of Canterbury’, as in yesterday’s BBC Songs of Praise. (See also The Independent and Daily Mail.) Justin Welby candidly admits the massacre caused him to doubt where God is and why it happened and that it made a “chink in his armour”. In considering spiritual rather than politico-military reasons for the targeting of France – and now Mali too – I claimed in the previous post that prime verses of scripture as well as contemporaneous prophetical insights reveal the real reason for the massacre of 130 in Paris. The reason is likely to be not the French government’s military responses to ISIL in Syria, but its ongoing hostility towards Israel. And this is not to forget or belittle the continuing attacks in Israel itself, as well as in Nigeria plus the Beirut bombing and the Russian airliner brought down over the Sinai. According to the List of Terror Attacks kept on Religion of Peace website the total number by Muslims since New York’s day of infamy stands at 27,308: so deaths are very much higher! “The Lord told me that in the coming days such will be the unfolding of global events that fear will strike the hearts of men…an ever-increasing unrest and a spirit of confusion shall be released upon the world that the hearts of many shall be gripped with fear; the fear of uncertainty and the sense of hopelessness…” (listen from 2:30:00 of this video). Consider this with yesterday’s headline ‘Paris attacks made me ‘doubt’ presence of God, admits Archbishop of Canterbury’, as in yesterday’s BBC Songs of Praise. (See also The Independent and Daily Mail.) Justin Welby candidly admits the massacre caused him to doubt where God is and why it happened and that it made a “chink in his armour”. See also Justin Welby’s official site for his Statement on Paris Attacks, as well as a blog published after this one was posted and in which His Grace explains Why Arguing with God is not the same as not believing in him. Interesting to read because it’s easy to infer from the references to two psalms how much the BBC edited out of the interview. What else would we expect in view of its severely jaundiced and inaccurate coverage of Israel, as monitored by BBC Watch? “I will make you a great nation; I will bless you and make your name great; and you shall be a blessing. Hence, France’s fundamental problem is its leaders’ rebellion against the Word of the Lord as presented below. As recounted earlier, on Saturday 14th November I read online headlines on the massacre in Paris, one of which I realised connected directly into its true cause. In Koenig’s World Watch Daily I noticed ‘France’s War Against Israel – Caroline Glick’. Editor William Koenig gives this ex-peace negotiator, now Senior Contributing Editor of the Jerusalem Post, the accolade of ‘ne plus ultra’ (none better, perfect example) for her excellence and accuracy of journalism. ‘France’s plan to use its position at the UN Security Council to bring about the deployment of international monitors to the Temple Mount in Jerusalem has been condemned by Prime Minister Binyamin Netanyahu and his ministers as biased, unhelpful and detached from reality. ‘Certainly it is all those things. But France’s decision to use its diplomatic position to advance a plan which, if implemented, would end Israeli sovereignty over Judaism’s holiest site is first and foremost a French act of aggression against the Jewish state. ‘Contrary to what the French government would have us believe, France’s Temple Mount gambit is not an effort to quell the violence. French protestations of concern over the loss of life in the current tempest of Palestinian terror ring hollow. Thirdly, she covers the immense French funding of the Palestinian Agricultural Relief Committee which ‘uses racist language to demonize Jews and Israel by among other things assaulting the so-called “Judaization of Jerusalem” and attacking Palestinians who work with Israeli companies….In 2011, PARC sabotaged a trade delegation in France comprised of Israeli and Gazan farmers…Rather than welcome Israel’s actions on behalf of Gaza farmers, PARC organized a boycott of the delegation – causing direct harm to Gazan farmers. ‘…By paying these groups to carry out these sorts of activities, the French government has made clear that far from seeking to advance the cause of peace, its actual goal is to block all prospects of peace between Israel and the Palestinians. These sorts of actions are the norm, rather than the exception in France’s treatment of Israel. ‘In the evening after the march, Hollande refused to appear with Netanyahu at the memorial ceremony for the victims of the Hyper Cacher massacre. In a tangible snub, Hollande left the synagogue where it was being held before Netanyahu arrived. ‘In the nine months since the attacks, rather than go after the Islamic communities of France that infect their members with Nazi-like Jew hatred marinated in Koranic dispensations for murder, French authorities have forced French Jewry to live under lock and key. Jewish communal institutions are required to shoulder astronomical security costs as their buildings have come to look more like military garrisons than elementary schools and synagogues. France is also at the forefront of the Boycott, Divestment & Sanctions (BDS) campaign against Israeli businesses thereby adversely affecting Palestinian workers. France continues to pay the price for its leaders’ decisions and actions. 1. The Times of the Gentiles are coming to an end. The end of Adam’s dominion time-lease upon earth is nearly over. The time of Jacobs’ Trouble: the Tribulation period is about to begin. BUT HE (JACOB) SHALL BE SAVED OUT OF IT. It is in this time that I will sovereignly cause all the Jews to return to their home, Eretz Israel. I will shake them out like a tablecloth that a lady would take outdoors and shake all the crumbs out of it by flapping it into the wind. But not one crumb will perish. All shall be returned…. Many of my people are hidden in the nations that have descended from the 10 lost tribes. They are not “lost” to Me. I KNOW THEM ALL. They shall return, along with all the descendants of Judah and Levi. No man knows who or where they are, but I DO. The time has come when the rest of the family will come home to the land I promised them. 2. Satan knows that his time is short. War is coming to the Middle East. It will bring every nation into it before it is all over. Israel is my mousetrap, and Jerusalem is the cheese. Israel is also my anvil on which I will judge the nations. Prepare your hearts, for peace will be taken from the earth. For 70 years I gave the Western nations peace and prosperity after World War 2. That was because of what the United States did along with the Allied forces by defeating Nazi Germany and rescuing My people Israel from extermination, and then paving the way for Israel to be reborn as a nation in 1948. 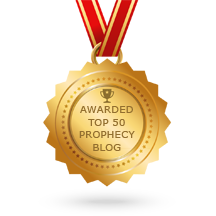 In my humble opinion that prophetic word and its associated one on the Day of the Lord are worthy of reflection and, as with the words in this two-part blog, should be weighed with scripture and the Lord. If you followed up my reference to Francois X’s remarks in the previous post you would have gained a closer view on the situation by a brother in Christ familiar with the Bible as prophecy. Even so, the people’s elected representatives have no excuse whatsoever for very biased and bigoted policies against Israel. As the above few scriptures attest, we are now witnessing France reaping what it has sown. Its support for anti-Israel terrorism and the downfall of that nation and surrender of its holiest site in Jerusalem has resulted in not only no divine protection against the demonic but also a barbaric targeting by the most extreme Muslim movement, one that copies the military adventures of their faith’s founder and subsequent early leaders. After planning to get United Nations action against Israel in Jerusalem, president Hollande has petitioned for other nations to join the action against ISIS/ISIL. As Dr John McTernan and others have posited for some years and the wise leader of Jordan now foresees, it looks like we’re now heading into World War Three! Once again history repeats itself as other peoples decide enough is enough of Muslim-based aggression – as outlined in this post on the myths about the Crusades: An insight into global satanic strategy – part 2. More > Koenig/Glick – Europe’s pushing Palestinian state & illegal trade war on Israel. Caroline Glick: Radical Islam – The Invisible Enemy. Dr John McTernan Insights: As France Has Done to Israel. Dr Clifford Hill’s clear exposition on Islam: Shock and Horror. Jordan’s King Abdullah: “We are Facing a Third World War”. Daniel Revisited: A Tipping Point for the Second Signpost. Gospel in the End Times: Paris Is Just The Beginning (incl French contribution). M-East Forum: What France Can Learn From Israel In Confronting Islamist Terror. Video: Islam’s Signature of Trampling and Crushing Made Obvious (Re Dan 2:40). An extraordinary interview popped onto our TV screen last night after a dvd closed down. We rarely bother with ‘talking-heads’; however, we stopped in our tracks upon hearing a question on the persecution of Christians. Joining as the first question was asked, we remained ‘glued’ to the dialogue. News-makers and personalities around the world are interviewed in-depth on BBC World Services’ and News channel’s HARDtalk by presenter Stephen Sackur. 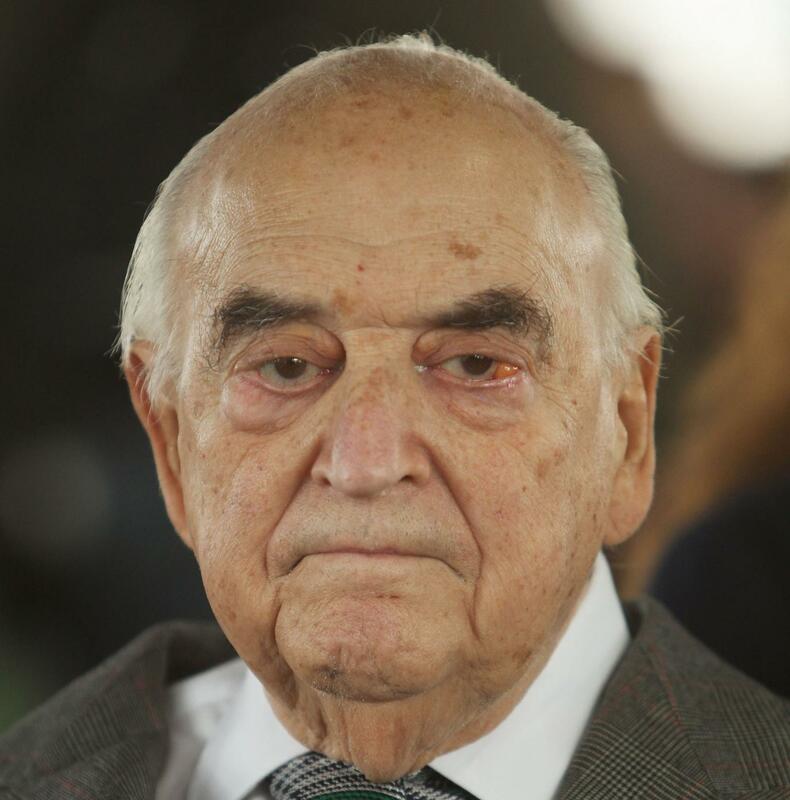 Last night he interviewed British peer Lord Weidenfeld, who made London his home for the past eight decades after escaping nazi Austria and the Holocaust just before World War II. He became one of Britain’s best known publishers of high quality, prize-winning fiction and non-fiction (see Weidenfeld&Nicolson). The opening question was about why he’d set up Operation Safe Haven, as publicised last July (eg. see Daily Mail article). His answer is that it’s in gratitude for and repayment of his debt to Christians because they’d helped him and his family to escape Austria, as well as when problems arose in pre-war Britain. As the Operations objective is being purely to assist Iraqi and Syrian Christians, Sackur objects by referring to USA’s reservations about helping and says such help should be humanitarian only: his work shouldn’t be religiously selective but include Muslims too because they’re also suffering. Weidenfeld recognises it’s an important point and counters by referring to his inter-faith work in improving relations between Jews, Christians and Muslims. The presenter then pushes for the logical consequence of such cooperation by rescuing those of any faith. But the guest is candid and forthright in saying Christians in those lands “get a raw deal, they don’t get sufficient support” and because of his personal experience wants to repay them. “Let me put it bluntly” retorts Sackur and posits a position of his guest refusing to help those in the migrating masses who are not Christians. “You can’t surely blame him for Europe’s failure to lead on this (migrant) crisis…?” blurts the Beeb’s man. “There are two roots of anti-Semitism: a religious root and an economical root….the first is no longer valid for people don’t say, “You killed the Saviour” – so that root died out in the 18th Century. The economic root is also not so valid because, if you look at the phone directories of most European capitals many (Jewish) bankers, lawyers and dentists no longer exist there because of Auschwitz. Watch this interesting and stimulating interview in full by clicking here. BBC’s anti-Israel mindset in BBC Watch reports on ‘HARDtalk’ (also on ‘Sackur’). Daniel Pipes: The One-Minute Guide to Obama’s Foreign Policy (13th October) in which he concludes “Obama’s policy is purposeful but the consequences are not”. Is Obama complicit in the persecution of Christians? (this blog’s next post). As ever Gillan Scott, deputy editor of Cranmer provides an excellent post on extremely detailed material and which I’ve copied in full from Archbishop Cranmer. However, I do have very strong reservations over the authority accorded to the BBC by Lord Alton’s quotation. Perhaps BBC should be changed to BCC – British ‘Cloud Cuckoo-land’ ? It goes without saying that human rights abuses relating to religious persecution are widespread throughout the world and on the increase. Even today, Asia Bibi, who has been beaten and raped during her six years on death row in Pakistan, will have one last opportunity to plead for her life to be spared (updated above). Her crime, as a Christian, was drinking water from the same bowl as her Muslim co-workers. During the ensuing argument she was accused of blasphemy against the prophet Mohammad, which led to her arrest and conviction. There is an overwhelming need for governments across the free and democratic world to take a stand and defend the basic human right that Eleanor Roosevelt, chair of the Universal Declaration of Human Rights drafting committee, described as one of the four essential freedoms of mankind. The Lords’ debate has been helpfully summarised by Frank Cranmer at the ever informative ‘Law and Religion’ blog, but several utterances deserve further attention. Lord Alton argued that in order for governments to reclaim their patrimony of Article 18, it would need greater political and diplomatic priority, and the importance of religious literacy as a competence could not be neglected. He went on to quote the BBC’s chief international correspondent, Lyse Doucet, who said: “If you don’t understand religion — including the abuse of religion — it’s becoming ever harder to understand our world.” He then drew attention to the paucity of interest in the matter at the Foreign and Commonwealth Office (FCO), with only one full-time desk officer dedicated to freedom of religion or belief. After two and a half hours of speeches the motion was passed. Such a debate was significant in proving that Parliament has this issue on its mind and is making some positive noises. But without more substantive action from government, it will all count for very little. In their 2015 General Election manifestos, both Labour and the Liberal Democrats proposed the creation of a Global Ambassador for Religious Freedom to work within the FCO. It seemed a sensible proposal, but would that be the best way of ensuring that HM Government does not duck its responsibilities on the issue? The newly created Centre on Religion and Global Affairs – a research and policy centre based in London, Beirut and Accra – has responded to the Lords’ debate. It believes that a special envoy that exclusively focuses on freedom of religious belief is not the way forward. Their view is that in other countries such appointments have yielded limited results. Instead, they propose the appointment a full-time Special Advisor to the government on Religion and Global Affairs. The advisor would be given a mandate to provide proactive policy proposals across Whitehall departments, in particular the FCO, Department for International Development, Home Office and the Prime Minister’s Office. Only a coordinated response across government departments will enable the UK to achieve the necessary understanding and enable a coherent and effective response to the issues. The role should not be seen as an interfaith outreach initiative, or a symbolic office for public diplomacy. Alongside this Special Advisor, a group of external experts would be needed to provide additional support. A global portfolio in one of the most complicated topics in today’s world is not possible without adequate professional support. Given budgetary constraints, the role of the Special Advisor could be facilitated by the appointment of voluntary external experts with the requisite professional, academic and geo-political experience. It is also important that any such position would be sufficiently funded if it is to be more than a symbolic gesture. Strategic research, diplomacy and local projects with stakeholders would need to be pursued with conviction and credible resources if any significant impact is to be made. There is every reason to believe that the UK can contribute significantly to international moves to uphold freedom of religion – if it so chooses. 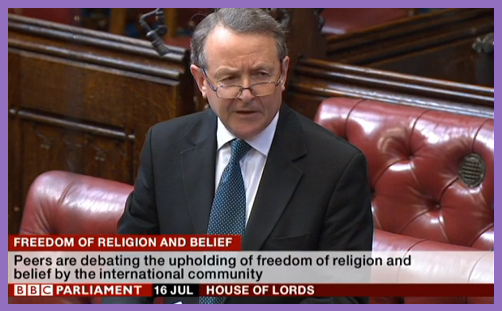 During the Lords’ debate, Baroness Anelay, Minister of State in the FCO, admitted that although the Government is working with human rights and faith-based organisations across the world to promote dialogue, foster links and strengthen understanding, it is not doing enough. As His Grace discussed yesterday, the Government needs to get a much better grip on its understanding of religion and religious freedoms. Religious persecution is a destructive cancer working its evil across the globe. 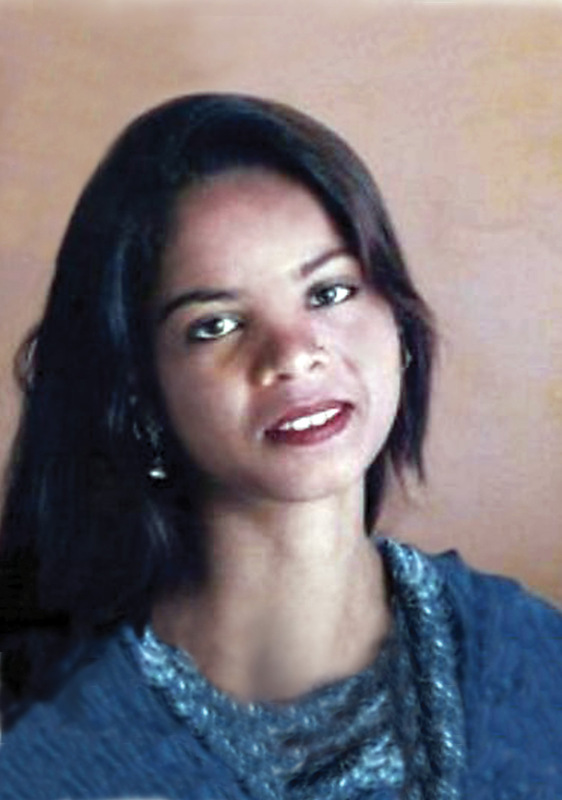 How many more travesties of justice – such as that of Asia Bibi – do we have to endure before the British Government hears the appeal of those in the House of Lords (and elsewhere) that we must act as Justin Welby has prescribed: “..do not sell guns to people who oppress religious freedom; do not launder their money; restrict trade with them; confine the way in which we deal with them; and, above, all, speak frankly and openly, naming them for what they are.” Amen.